See what your HDTV can really do. 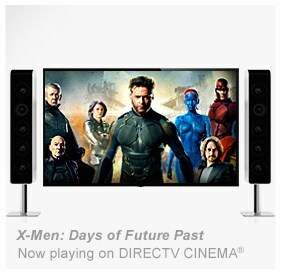 With the advanced features of the DIRECTV HD Receiver, you’ll enjoy TV like never before. Get up to 1080i picture resolution for astounding HD clarity and color. Plus, take advantage of a customizable program guide, search shows up to seven days in advance, control what your children can watch, and more. 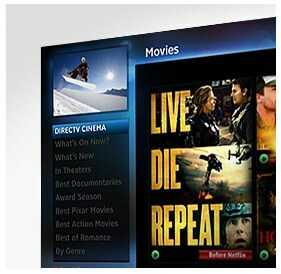 Connect your Dolby Digital 5.1 surround sound system to the DIRECTV HD receiver and create a movie theater experience in your own home. Find the TV entertainment you want in a snap with our intuitive, lightning-fast TV HD on-screen guide. Enjoy HD picture resolution of up to 1080p. Experience Dolby Digital 5.1 Surround Sound with a compatible home theater system (sold separately). Take advantage of the lightning-fast HD on-screen guide. Choose your screen format: full screen, stretched, letterbox, pillar box, or crop mode. Customize your channel guide to show only those channels you’re subscribed to.